Hide deals from category "Fashion Design"
Limit 1 per person. Valid on up to 6 hours of luggage packing for 1 person. Toiletries not included. By appointment only; must schedule at least 48 hours in advance. Luggage not included. Promotional value expires 30 days after purchase. Pack your bags for one last summertime trip with 50% off luggage packing from Fashion House, available within 25 miles of Pilsen ($300 value). One of the fashion-forward consultants will evaluate your trip and create a variety of wardrobe options to minimize the amount of luggage you take along. 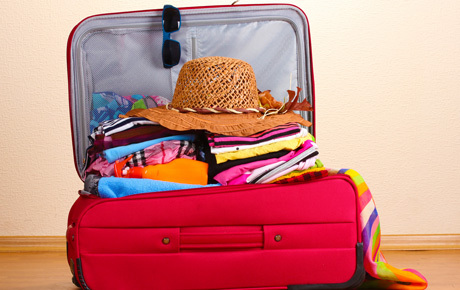 Your consultant will also pack your garments so they are fresh and wrinkle-free when you arrive at your destination. Fashion House is a one-of-a-kind fashion establishment that combines a consignment and resale store with custom services like closet consultations and personal shopping. Their primary goal is to help you look and feel your best wherever life might take you. Spend up to six hours planning fabulous outfits that will make any jetsetter feel gorgeous.